Renault is "desperate" to hang onto fourth place in the constructors world championship. That is the claim of Haas boss Gunther Steiner, whose small American outfit is immediately behind the French works team in the standings with two races to go. "We're fighting Renault who should be a lot better than us," Steiner said in Brazil. "That shows how desperate they are, because as a factory team they have five times more people than us, and they have to fight us. Maybe you should ask them what they think about it." However, Renault advisor Alain Prost says the team is on track as it builds up a title-winning project. 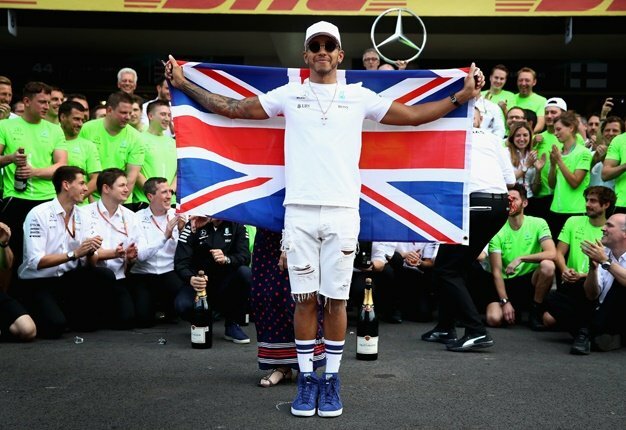 "When Mercedes bought the Brawn team, it took them four or five seasons to get to the top," he told L'Equipe. Prost said Renault has been working to improve its factory and add "up to 200 new people", but insists the team's upgrade is "on schedule". "It sounds a bit pejorative, but the big three remain untouchable," he said. "Something quite fundamental happened this year with the evolution of the Mercedes but especially the Ferrari engine. They won about 30hp but not necessarily on the engine. "It must be with the fuel, the consumption of oil or other fluids. On a personal level, I would really like the FIA to deal with certain issues," Prost added.